As soon as it starts to warm up in spring, it's the perfect time to assess your home's roof condition and see if there's anything you need to get scheduled and/or budget for. Here's some information from a professional home roofing contractor to help you out. If you call a roofing professional and pay them for an inspection, it's well worth your investment. There are many repairs that can't be assessed simply by looking . An inspection by a local roofing company can discover small issues that can be repaired. Many times with roofing issues, small jobs left undone become major issues later causing holes in your roof and water leakage, among other things. Cleaning all the debris and accumulation out of your gutters is one of the biggest things you can do yourself to keep water from being an issue at your house. In the spring, we get many episodes of heavy rain, and if your gutters can't effectively deal with all that water, it has no choice but to accumulate close to your house, and possibly flood your basement or crawl space. If you are able to access your attic or crawlspace, it's a good idea to make the time to view these areas. Go up in the attic and see if you notice any leaks or holes. Doing this review each spring will keep small issues from becoming large ones and possibly causing you to need a complete roof replacement. If you can get into your crawl space, check to see if there's any water accumulation. And as always, review your basement for any signs of water leaking through the foundation. Look around your yard for any trees that are close to your house, or branches overhanging it. If branches are constantly swaying against your roof or gutter, they can eventually damage them. They can also provide easy access to squirrels and other rodents who will deposit debris and other things in your gutters. Leaves constantly falling from branches will clog your gutters and make extra work. If you don't feel comfortable trimming trees or branches yourself, there are plenty of professional companies who can do it for you. These are just a few of the simple things you can do to keep your roof and home in decent shape by making spring the time to do an annual review. Add these task to your spring cleaning schedule and you'll be in good shape year round. With all the ice we've had across Missouri lately, as a local roofing contractor I'm concerned about the safety of homeowners across the area and want to share some great information in a series I published a few years ago regarding ice buildup on a homeowners roof and what to do about it. Stay tuned this week for the full series on ice, and if there's any necessity for you to contact an experienced roofing professional to get your questions answered. How much snow accumulation can a home’s roof handle in Missouri? The recent snowstorm brought us over six inches of new snow in the Lee’s Summit, Missouri area as well as most of Missouri. That snow is very pretty, but it brings in a lot of questions about snow and ice and their impacts on trees, houses, buildings, and especially your roof. How much snow is too much accumulation on your roof? Can you wait for the snow to melt or do you need to actually remove it yourself or get a professional? Read on for some basic advice about snow accumulation on the roof of your house. It’s important to know when referring to snow accumulation what type of snow or accumulation there is. All snow is not created equal. Packed snow weighs a lot more than new snow, and ice weighs far more than both. So if you experience a second snowstorm before old snow has had a chance to melt, the packed snow now topped with new snow accumulation could be more than your roof can handle. And that’s not even counting if you experienced ice on your roof and haven’t had weather warm enough to melt it. The general rule from the Insurance Institute for Business & Home Safety to prevent roof collapse is that a house should be able to support 20 pounds per square foot of roof space. Twelve inches of snow is roughly 5 pounds per square foot so your roof should be able to support up to 4 feet. Packed snow of 3 to 5 inches equals about 5 pounds per square feet, so 2 feet of old snow could be too much for a roof, and ice equals 1 foot of fresh snow. Some areas that tend to receive abundant snowfall yearly may have higher loads mandated by your local building department. You can call them to find out what the regulations were at the time your house was built. The best thing to do to put your mind at ease if you can’t tell if your roof can handle the snow accumulation is to safely remove it. For an easily accessible roof, a snow rake can be the right answer. If you have a dangerous, steep or roof in disrepair, or are simply worried, call a roofing professional to discuss. Your local Missouri roofing contractor will have the right answer for your individual home and area. ​In this blog series, I am trying to explain why I typically recommend a 30-year Architectural shingle and not upgrading to the premium versions (40-year, 50-year, plus, premium, lifetime, or other marketing terms might get used). Many homeowners are concerned about maintaining the value of their homes, and as a house is likely your largest single investment I agree you should be concerned. They (rightly) think that often times if you spend more, you get something better in return. And as you improve your house, quality craftsmanship isn’t just something you live with every day, it will be reflected when it comes time to sell your house in the future. I would think that when I am looking at a house that I would recognize quality craftsmanship, and appreciation that the former owner took to care for the property, and perhaps that might have value to me. However talking to realtors, most homeowners don’t follow that logic pattern. And this includes the roof that is the primary protection for that home. Prospective homeowners ask a single question, “how old is the roof?” If it is over eight (8) years old, they start to think about the check they will have to write to replace that roof. Like many of us, they don’t think about the insurance discounts I wrote about earlier, only the age of the roof. Beyond what is “typical” for your neighborhood, there is likely no increased house value you can expect from upgrading from the 30-year Architectural shingles. I appreciate that as a homeowner, you are trying to be prudent and upgrade the value of your home, but the market treats your roof as purely a routine maintenance item and values your roof strictly by the age and nothing else. This is unfortunate, but this is also the reality. In summary, as a roofing contractor, I recommend a tried-and-true product that has been real world tested in our Jackson County, Missouri weather; the premium products may last longer but I haven’t seen it. In addition, every time you replace a roof you get to press the “reset” button on your homeowners’ insurance and qualifying for a significant discount on your premiums. And last, the real estate markets simply views a roof as a maintenance item, and this upgrade won’t factor into a potentially higher future sale price. While I often advocate and recommend upgrades, this simply isn’t a place I can support spending more money. In previous blogs, I have been a strong proponent of upgrading from the minimum necessary to simply put a new roof on your house. And yet my most recent blog series is recommending that there are times when you shouldn’t upgrade? Before you discount my ramblings entirely, please allow me an opportunity to explain. I understand that a roof is a significant investment, so my recommendation is simply to invest wisely. I know a few extra dollars in my pocket is always welcome, and if I can save some money by shopping I appreciate that someone took the time to steer me in a better direction. My first recommendation is simply that here in Kansas City that we get sunny and hot summers, icy winters, windy spring, violent storms that include tornadoes and hail, and generally harsh weather year around. While a base Architectural Shingle is often referred to as a 30-year shingle, it is quite unlikely that we will ever get anything approaching 30-year lifespan out of that shingle. One bad hail storm is all it takes to render them damaged enough to warrant replacement. However our sunny days with ultraviolet (UV) exposure take their toll as well. Wind-driven rain drives water in places it was never intended to be, and that impacts your roof. Our winters are based on ice; I have already written on ice impacts, causes, and minimization, but you cannot eliminate the impacts of freezing on your roof materials. Simply put, we don’t get anywhere near the forecast life presented by the marketing brochures. Architectural grade 30-year shingles have been around awhile, we can accurately predict how long they will last in our Midwest climate (on average). Predictions vary, and a single hail storm or tornado will destroy a brand new roof, but our roofing company history is showing that fifteen (15) to twenty (20) years would be a good run for a 30-year roof. The upgraded roofing (40-year, 50-year, plus, premium, lifetime, whatever marketing terms are used) simply haven’t been around long enough to show they stand up longer. I have seen 50-year roof damaged by a hail storm, and while the neighbor qualified for a new roof from their insurance company, this homeowner was left with a damaged roof that looked bad but also didn’t qualify for replacement. And looking at these materials, there is nothing in them that leads me to believe we will ever get 40 years or more of life out of them, compared to the 20 years we might expect from the baseline roof. Do you want to take the risk on unproven materials? They certainly cost more. When it comes time to preparing bids, I really like a homeowner that wants to make the best decision, not just the cheapest roof they need for their house. A homeowner that is planning on living in that house for the foreseeable future, and not just dressing it up to sell, flip, or other short-term gain. These are homeowners that understand that short term cost decisions have long-term ramifications; and that saving money today may well not be saving money in the long run. And the most common question, should I upgrade my shingles to 50-year shingles (depending on manufacturer, these might be called 50-year, plus, premium, lifetime, or perhaps other marketing terms)? When they are looking at a baseline of Architectural shingles, we tend to think in terms of 30-year life. They understand that a good roof is expensive, so why not pay a little more now for upgraded materials if it means longer life, no hassle in the future (do you plan to be alive in 50 years? ), and understanding that the cost of the roof is more than just the cost of the materials as it includes labor, equipment, trucks for my crew, insurance for my workers, etc. While I am typically criticized for my answer, most people are surprised when I recommend not upgrading from a 30-year architectural shingle. As a reputable Lees Summit roofing contractor, I want to make sure I'm doing the best I can for my customers. Sure, those upgraded shingles do look nicer, and if you were to see two houses, side-by-side, you could probably pick out the homeowner that spent a bit and cared enough to upgrade. I base my recommendation on a couple of factors, and I will prepare subsequent blogs to provide more information. Here in tornado, hail, ice and snow, and high summer UV country in the Midwest, we will never get 30 years out of a 30-year shingle. Longer life shingles haven’t really been tested in the real world. A new roof qualifies for a significant insurance discount (check with your agent). And if you are going to invest in your house (a new roof is a significant investment, your house is likely your largest single investment) you want to be assured of payback on that investment. 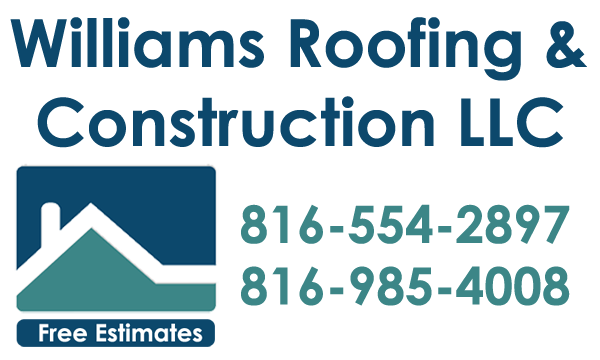 When it comes time to replace your roof, you are likely to notice a difference in bid prices. In previous blogs, I have identified two (2) mandatory factors that could impact the bids you receive from different roofing contractors; insurance and Homeowners’ Association (HOA) restrictions. Once we get beyond these minimums, and I would strongly encourage discounting of roofing contractors that don’t insure their employees, we can start to compare apples-to-apples. And we can start to look at reasonable upgrades in materials, and what might make sense and what is simply money spent on nothing. When a new roof is being installed, you are presented a unique opportunity to upgrade some materials or installation practices that should be considered. You cannot retrofit these later; as your roof might last 20-years or longer, a small additional investment may well provide significant savings and should be considered. I am happy to discuss each of these individually with my clients and customers. I use a 30-lbs felt underlayment as a minimum installation. In a previous blog, I explained different underlayment materials you can choose from; 30-lbs isn’t the cheapest or thinnest underlayment available. Depending on the pitch of your roof, we may want to upgrade to ice-and-water shield for a portion of this as insurance against ice dams (another previous blog topic). 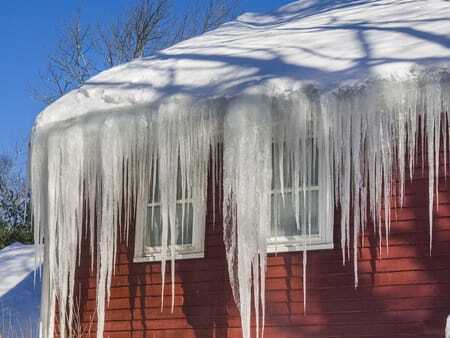 If you have an ice dam problem with your roof, the ice dam problem needs to be solved. However if you have a relatively flat roof, ice-and-water shield is a great defense mechanism against ice dams causing roof leaks, and a roof leak in the middle of winter isn’t a pleasant proposition to address. If your HOA requires 50-year Architectural Grade Shingles, we may want to consider an upgrade to a premium underlayment instead of the 30-lbs. felt. It depends on who manufactures your roofing materials, but every manufacturer has an upgraded underlayment then have specially formulated to work in their respective systems. I have used them, I like them, they have a lot of benefits, but they aren’t for necessary for every new roof either. Here in tornado country, another item you may have read about is “high wind” pattern on shingles. Every roofing shingle is typically installed with four (4) nails/shingle; the high-wind pattern installs six (6) nails/shingle. While this sounds like a 50% increase in holding power, it really doesn’t equate to that. If you have a steeper pitched roof, this is something we may want to consider. I would point out that manufacturers’ rate their roof resistance to wind speed, and a high wind nailing pattern only marginally changes this resistance for lower sloped roofs. Again, this might be nice for you to consider as a homeowner, but it isn’t necessary for everyone. These are just a couple of optional factors that increase material and/or labor cost. Depending on your individual roof, I may include them as “base” cost or I may include them as optional upgrades. When I bid a job, As a conscientious roofing contractor, I want this to be a job I am proud of, and my experience dictates that sometimes these are requirements based on your specific roof, and sometimes these are optional upgrades. I am happy to discuss this so that you, as the homeowner, can make an educated decision. OK, you have put it off long enough, it is time for a new roof. You are seeing fine-grained aggregate near your downspouts after every rain (this is roofing material degradation), you are getting some curling near the edges of your shingles, you are getting staining, and basically you know how old your roof is. Sure, you could wait for it to start leaking, the final step, but it is really just delaying the inevitable. So, you talk to your friends and neighbors to get some references, a great place to start. Next up, you call them to prepare some bids. And when you get those bids, you will note a range of prices. The first thing you are going to do is to focus on the cheapest bid price, and discount the other roofing contractors as simply trying to take more of your hard-earned money. That may be the case, but it may also be the case that you are comparing apples to oranges. The biggest factor in difference of bid price relates to insurance. Of the individual construction trades, workers’ compensation insurance for roofers is typically higher than any other construction worker. Many roofing contractors get around this insurance cost by hiring “day labor” or “independent contractors” instead of hiring employees. Day labor isn’t covered by insurance; independent contractors are responsible for their own insurance (and often go uncovered). Employees have to be covered by their employer. In previous blogs, I have captured differences in underlayment materials (15-lb. felt, 30-lb. felt, heavier felt, premium underlayments, ice-and-water shield). Each of these has a different cost, and each roofing contractor has a bid they prepare based on one of these underlayments. You cannot reasonably compare bids from a roofing contractor that installs 15-lb felt to a roofing contractor that installs premium underlayment coupled with ice-and-water shield as this isn’t an apples-to-apples comparison. Your Homeowners’ Association restrictions – when I have repeat business in a neighborhood (and you got my reference from your neighbors – right? ), I know the Homeowners’ Association restrictions. Some of these are based on roofing materials, and they are always an upgrade in cost. Other roofing contractors may not be aware of these mandatory upgrades and may bid your job based on lower quality roofing materials. Differences in labor. If a contractor uses a high-wind installation pattern for installing your roof, this takes 50% more nails to install the same roof than a roofing contractor that uses a standard installation pattern. This equates to both increase in materials (50% more nails isn’t free), as well as an increase in labor time (50% more nails on each and every shingle adds up for the installer). So, what upgrades should you consider as important, and what upgrades should you consider as maybe nice but not required? This will get us into a new series of blog topics. Workers’ Comp Insurance for Roofing Contractor: Why Do I Care? ​Most homeowners know that when it becomes necessary to install a new roof on your home, this isn’t a small investment. You obviously want to save money; but you also want the maximum value for you investment. You are smart, and you realize that sometimes when you pay a little more, you get a better product. However, in a previous blog I identified that sometimes when you pay more you get a Roofing Contractor that hires employees and pays Workers’ Compensation Insurance. What you get by paying more here doesn’t end up on your roof. I already identified that of the individual construction trades, workers’ compensation insurance for roofers is typically higher than any other construction worker. Many roofing contractors get around this insurance cost by hiring “day labor” or “independent contractors” instead of hiring employees. Day labor isn’t covered by insurance; independent contractors are responsible for their own insurance (and often go uncovered). Employees have to be covered by their employer. Before you discount the importance of insurance, I encourage you to think through this. The cost of insurance is proportional to risk. It is just like your auto insurance policy, if you have tickets, collisions, and drive an expensive car, your auto insurance premiums are higher because you are more risk. It is illegal for you to forego auto insurance, but that doesn’t mean that every driver on the road is insured either and some drivers take on excess risk. The same is true for Roofing Contractors; we pay higher premiums for our employees compared to construction workers because we have higher risk. We work on roofs all day, we have risk of falls and falling off a roof has high risk of injury. We also work with power tools, we do heavy and tiring labor, and all of this equates to potential for injury. So what does this mean for you, as the customer? If you hire a Roofing Contractor that uses day labor, or you hire a roofing contractor that uses independent contractors, you are liable for these injuries, as the homeowner. I encourage you to contact your insurance agent, they will be happy to discuss your liability for hiring uninsured workers to work on your house. Your Homeowners’ Insurance covers more than just damage to your home, but it may not cover damage to uninsured contractors you hire. This is like you driving without auto insurance; you need to plan for likely events we hope will never occur. You wouldn’t think of driving without auto insurance, why would you hire high-risk construction trades that aren’t insured? And a side note, Roofing Contractors that pay Workers’ Compensation insurance are sticklers for safety. Our insurance rates are based on risk, if we can show safe workplace practices we get reduced premiums. Which would you rather have working on your roof; a contractor that places an emphasis on safety, or a contractor that places an emphasis on cost and passes the risk to you as the homeowner? You don’t “see” insurance in the finished product, but if an accident happens you will “see” what happens when it isn’t there.